A still captured from the video. 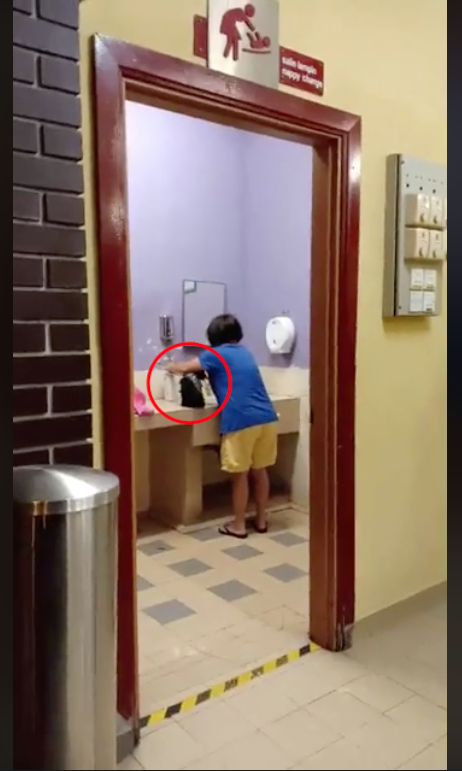 On Friday, 8 February, a Facebook user by the name of Farah Shafiza uploaded a 16-second video of the woman bathing the dog by the sink. "R&R Tapah. Women's toilet. Can see it is a 'nappy change' room!" she wrote in the post. Farah and her husband had stopped for a break during their journey back to Kuala Lumpur from Penang when the incident happened at 3am, reported New Straits Times (NSTP). 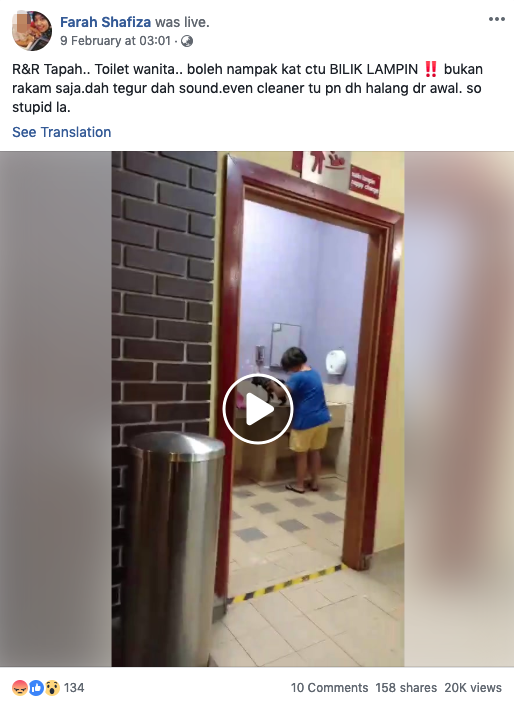 "Several of the cleaners were reprimanding the woman for cleaning her dog there," Farah told NSTP. "I, too, told her that she could not wash her dog there – but our advice was not heeded." "This is not a religious issue or whatever. This is a common sense issue, consideration and hygienic reason as well!" one netizen wrote. Another netizen called the dog-bathing woman "selfish", adding that she could "bath[e] the animal at home". "If I was the cleaner and my reprimands didn't work, I would just turn off the electricity so that it will be dark, [and] turn off the taps so there's no water. No common sense," one more netizen wrote. PLUS Malaysia has since reported that the room where the incident took place has been "treated and cleaned"
"PLUS expresses its regret on the isolated incident which the woman ignored our cleaner and customers' warning upon witnessing the incident and would like to reiterate that all Rest and Service Areas are pet restricted areas to ensure cleanliness and comfort of all highway customers," the highway concessionary wrote on its website.